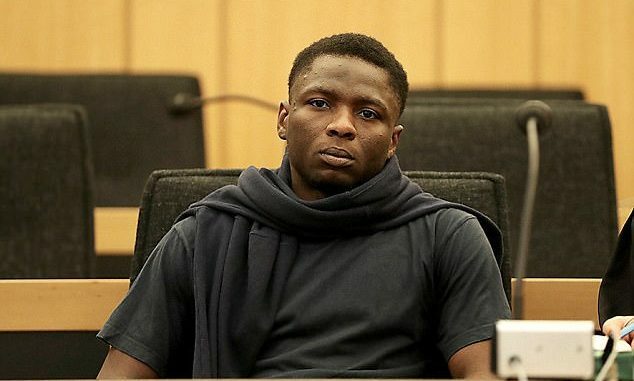 A murder trial has heard how a failed asylum seeker in Germany butchered his beautiful refugee helper girlfriend known as the ‘Angel of Ahaus’ after she broke off their relationship. 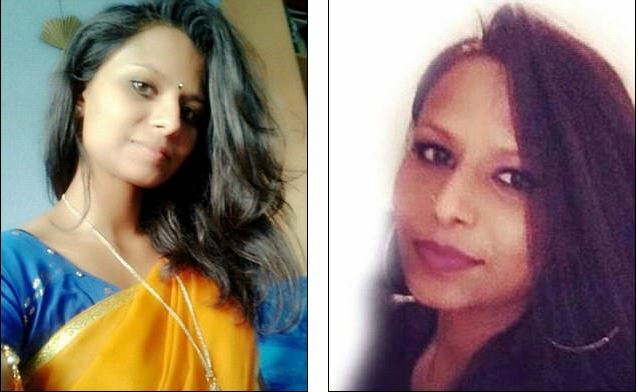 Nigerian Anthony I, 28, killed student Soopika Paramanathan, 22, out of jealousy, said prosecutors at a court in Muenster. Anthony I bought a large suitcase in which he intended to stuff her body and dump it into a lake after he stabbed her repeatedly in the street. The accused refused to speak at the first day of his trial yesterday where judges heard how he came to Germany in 2015 claiming to be a homosexual who had fought against the Boko Haram terror group in his homeland. Both claims were false. In the town of Ahaus he met Soopika who spent all her spare time helping out refugees like him at a local asylum seekers’ home. They met in August last year and became lovers. But Soopika ended the relationship after just a few weeks – a rejection that Anthony I was unable to handle. ‘He could not bear the thought of her going with another man,’ said the prosecution. She tried to fight back with a pepper spray that she aimed at her attacker’s eyes – to no avail. She was raced to the local hospital but died shortly after arrival from massive blood loss from over 50 stab wounds. Soopika, who had moved to Germany from Sri Lanka with her family, had lived in Ahaus for a number of years and wanted a career working with children. According to reports, she was very popular, had many friends and loved playing the piano and violin in her spare time. Police chief Herbert Mengelkamp quickly focused in on Anthony I, whose asylum application was in the process of being rejected by authorities. He tried to stuff her body into the blue suitcase at the crime scene but fled when passersby saw him. He fled to Switzerland but was caught two days later by police at Basel railway station.